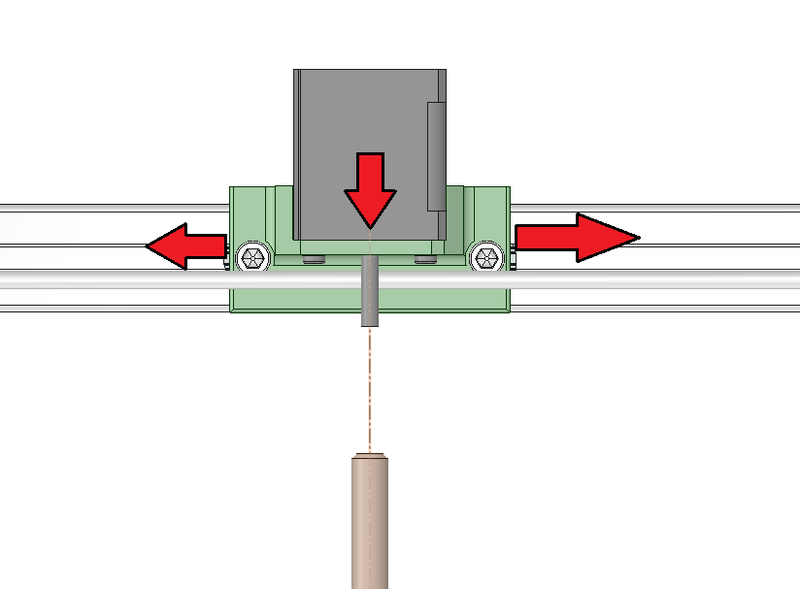 This system allows the use of an high speed helix screw in order to replace the belt driven mechanism. 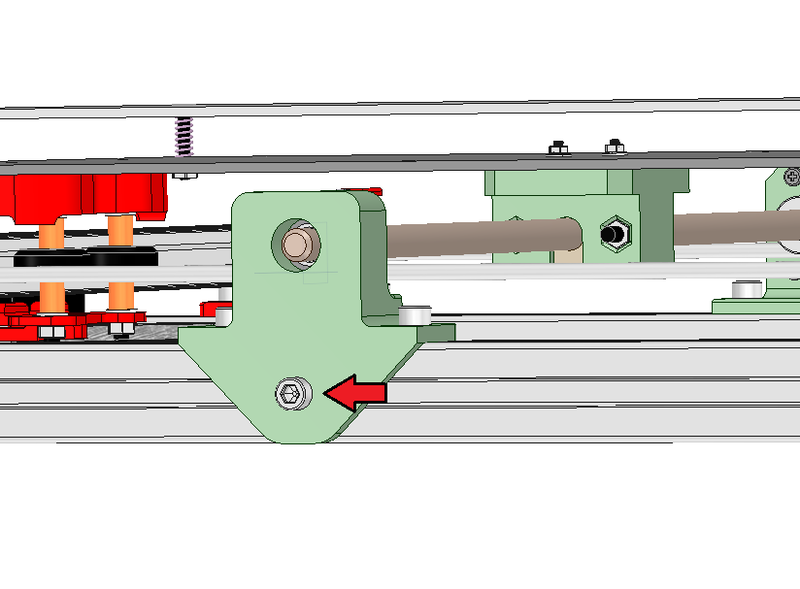 The helix screw, due to it’s high lead value, can be used for hight speed applications such as 3D printers. 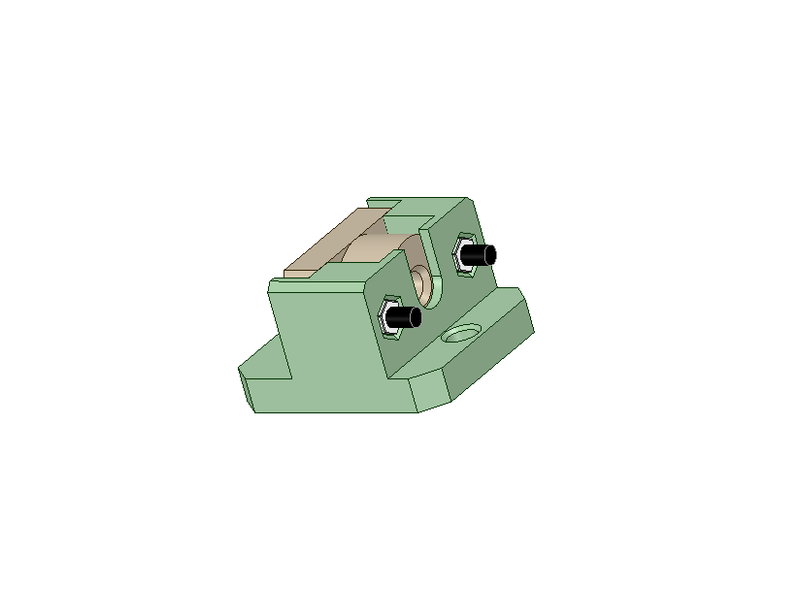 Place it inside the housing so that the flat side is properly aligned with the plastic part. 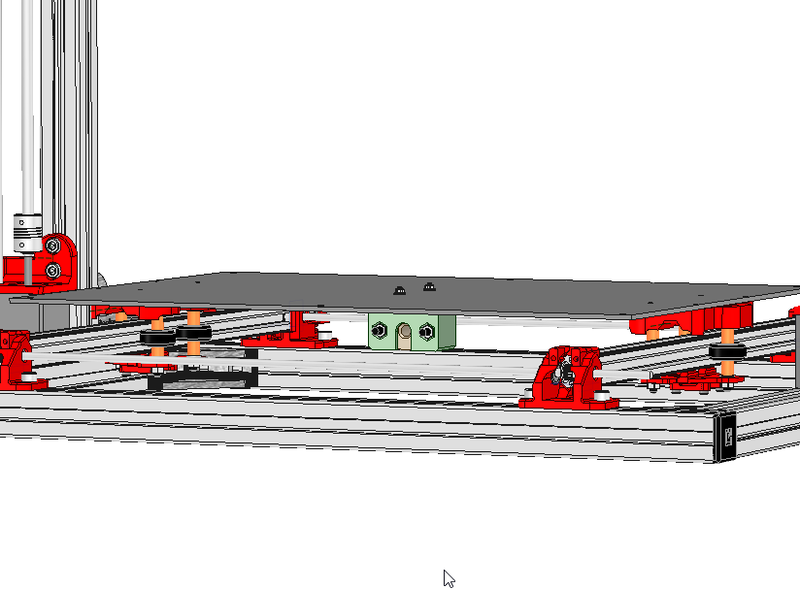 Take 2 M5X35mm screws and 2 M5 nuts. You will find specific holes for the Nuts on one side of the plastic part. 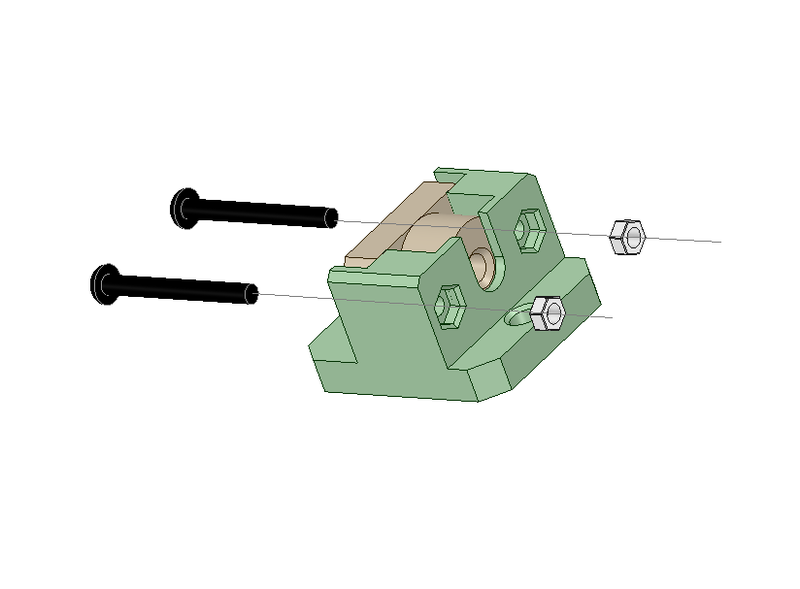 Secure the flanged nut on the plastic part using the 2 screws and the nuts. You should get something close to this. 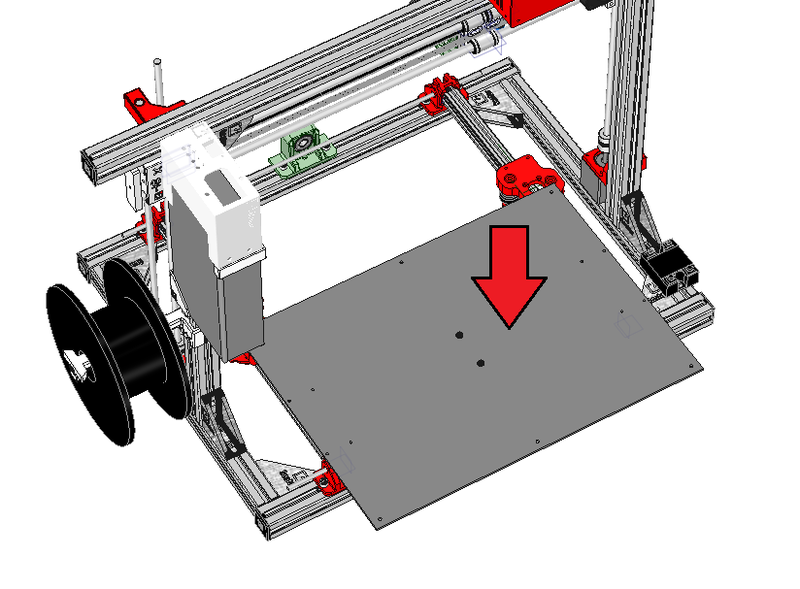 Align it with the 2 screw holes on the middle of the plate. 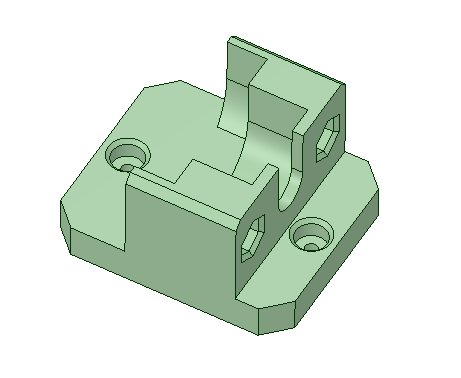 The direction of the part is not important as the holes are centered on the bed. 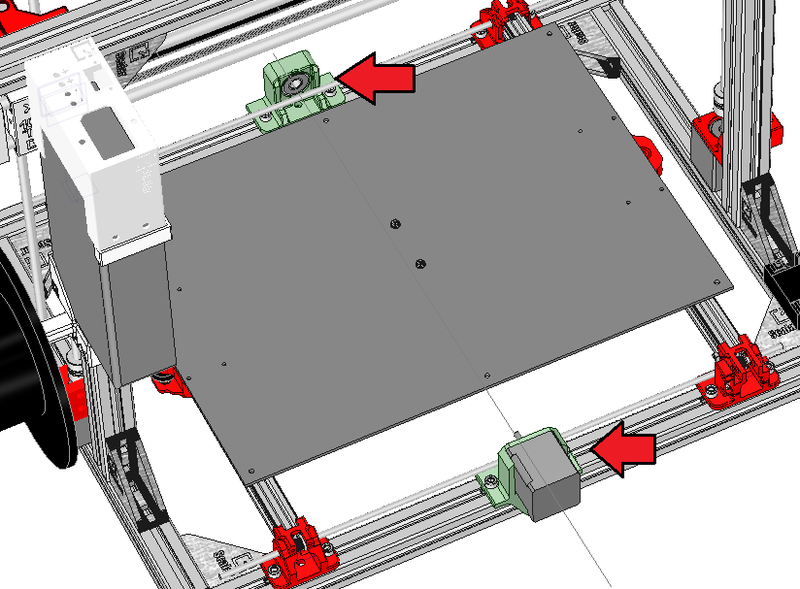 On the other side of the plate, secure the system using 2 M3 washers and 2 M3 Nylstop nuts . Here is a view of the washer and nuts in place. 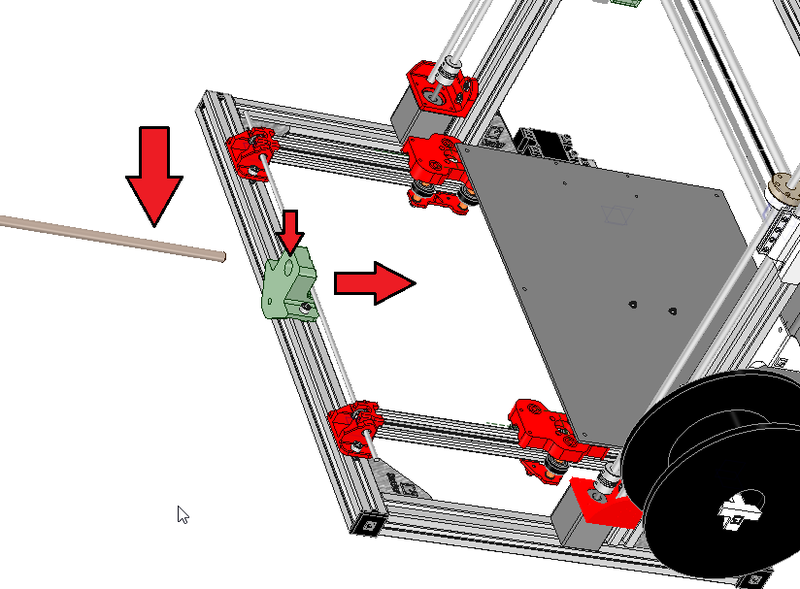 Place the motor holder on the same side as your Y Axis Motor. 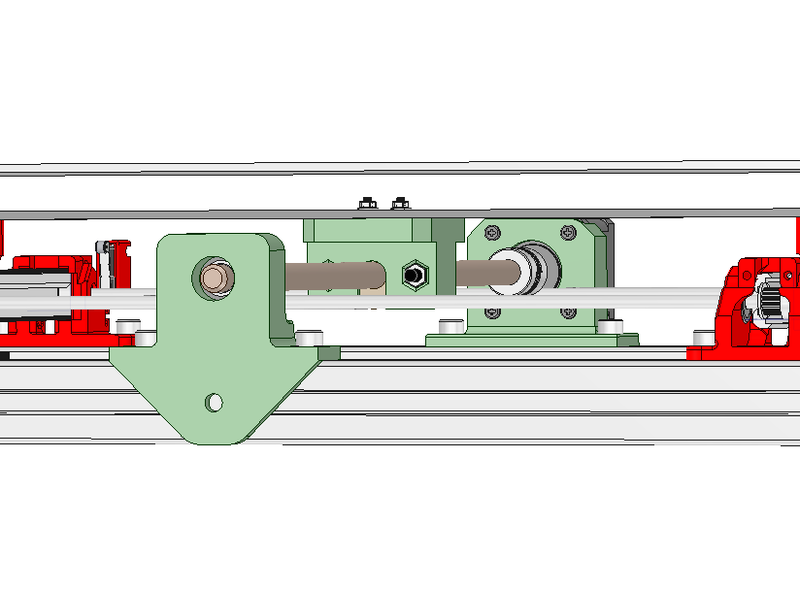 You will need to unmount your existing Y Axis motor and mount if on this new plastic part. 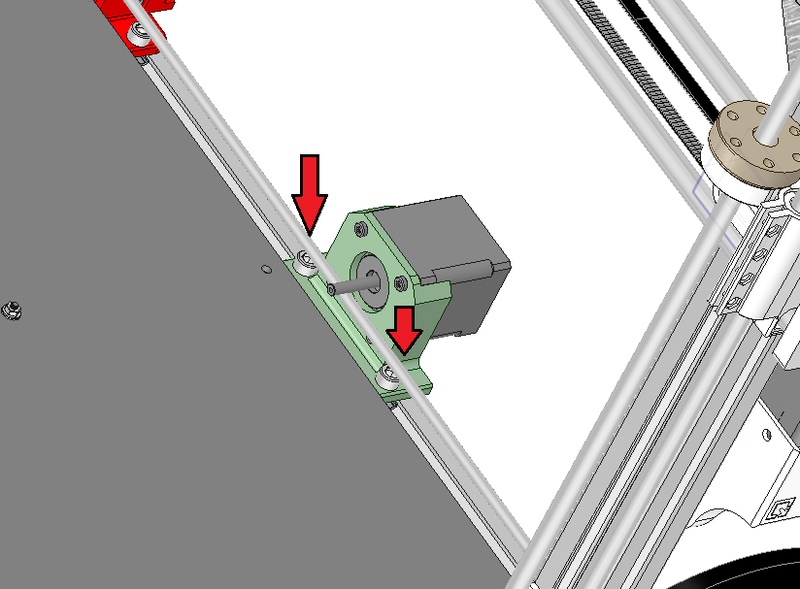 Make sure to unmount the Y Axis motor and also removes it’s coupler. 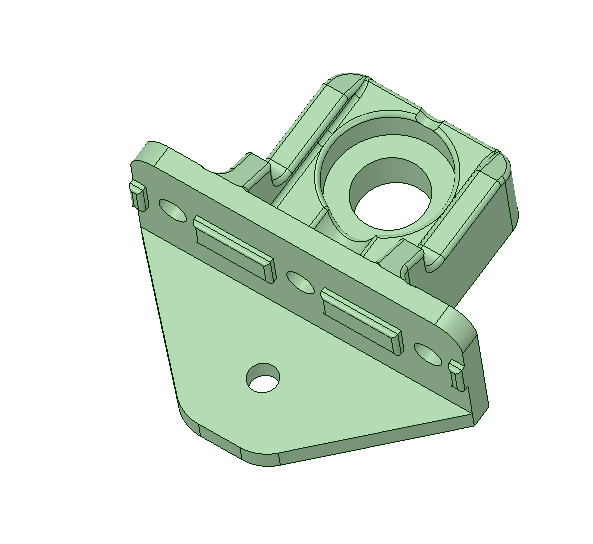 2 M6x12 screws and 2 TNuts will help you to secure this plastic part on the chassis. 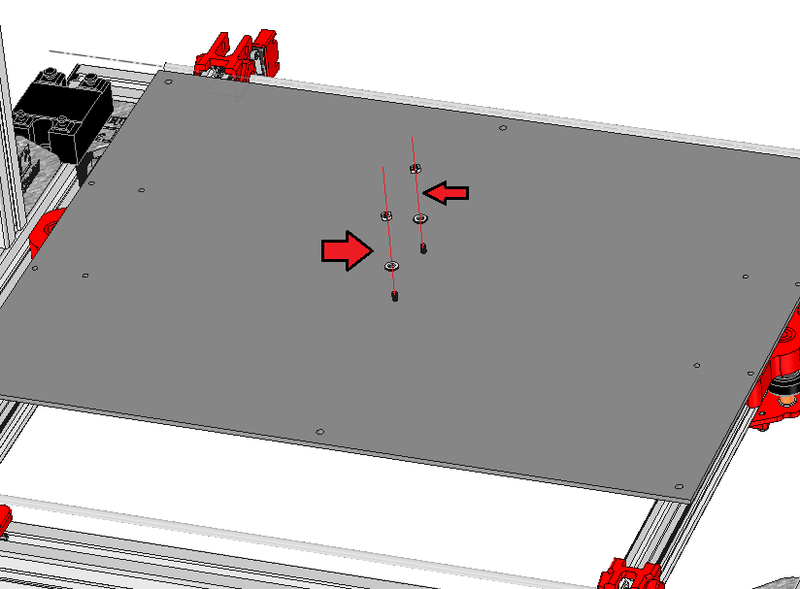 Once roughly centered, you can screw 1 M6 screw in order to keep it in place. 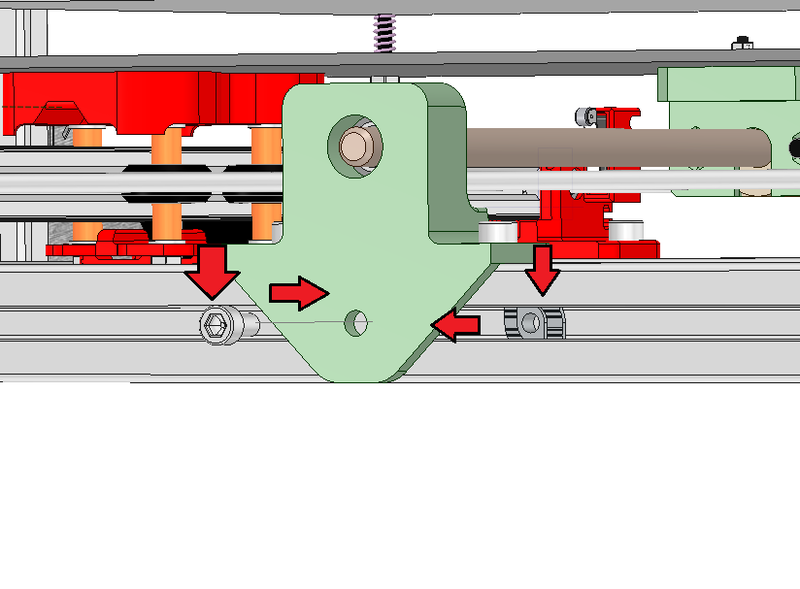 Note that you will adjust the position of this motor later on. 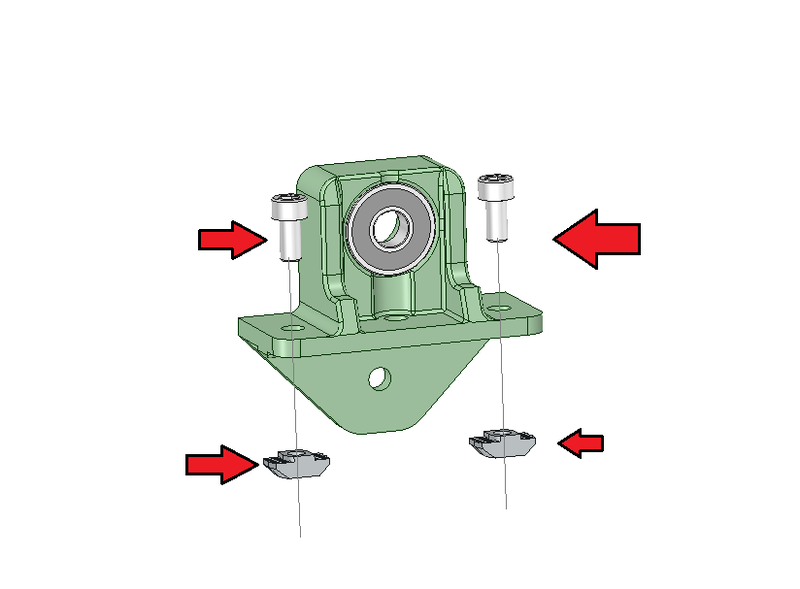 Take the Idler bearing support and 1 S6000 bearing. Pllace the bearing inside it’s housing. It should keep it’s place easily. If it’s going out, you can use some liquid paper glue . 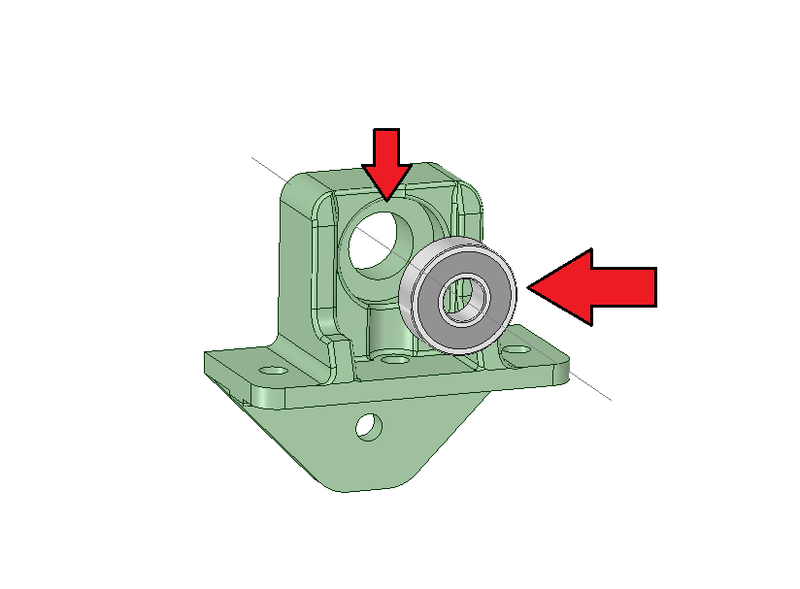 Make sure you let the center of the bearing free. 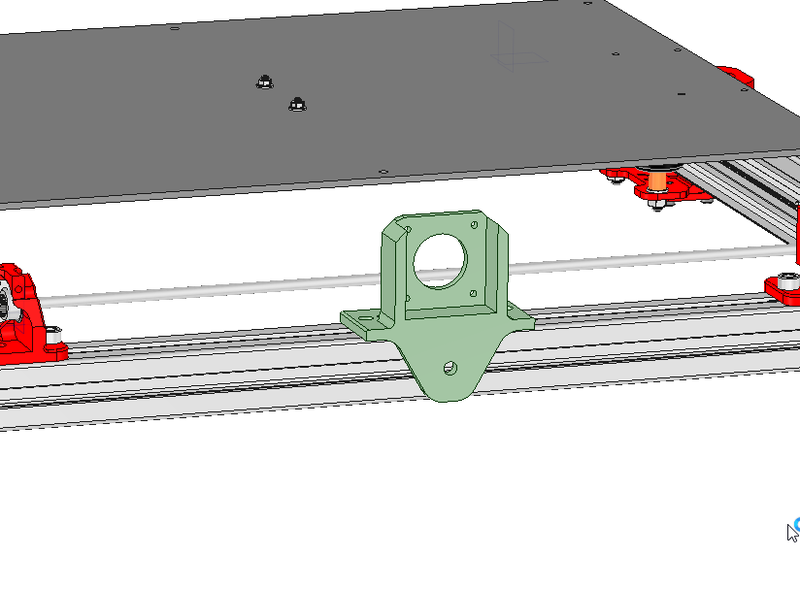 Also use 2 M6x12 screws and 2 TNuts to prepare the parts to be installed on the chassis. 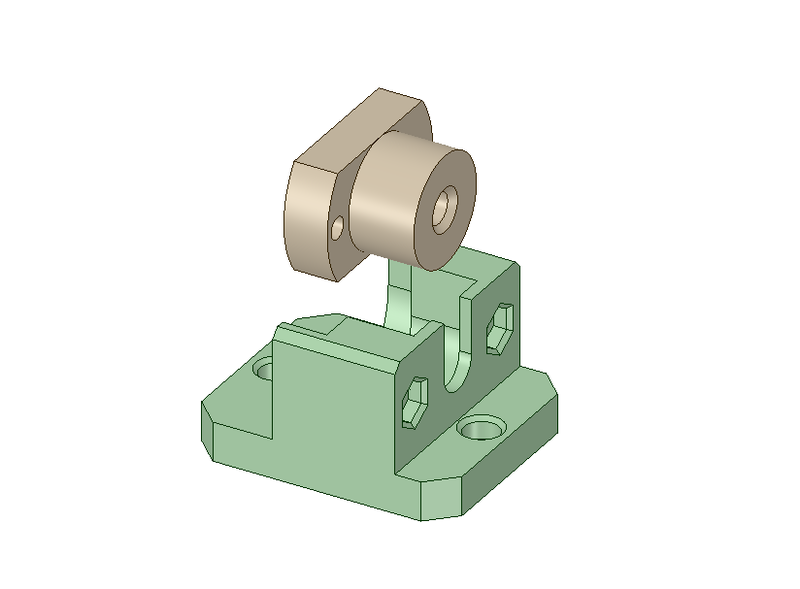 Place it At the front of your chassis, On the opposite side of the motor. 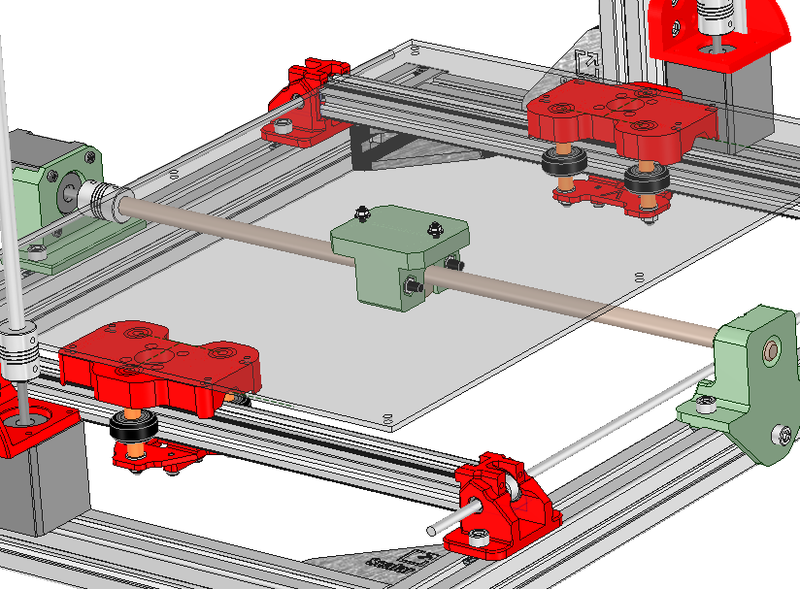 We are now going to align all the parts togather so that the high helix screw stay straight. 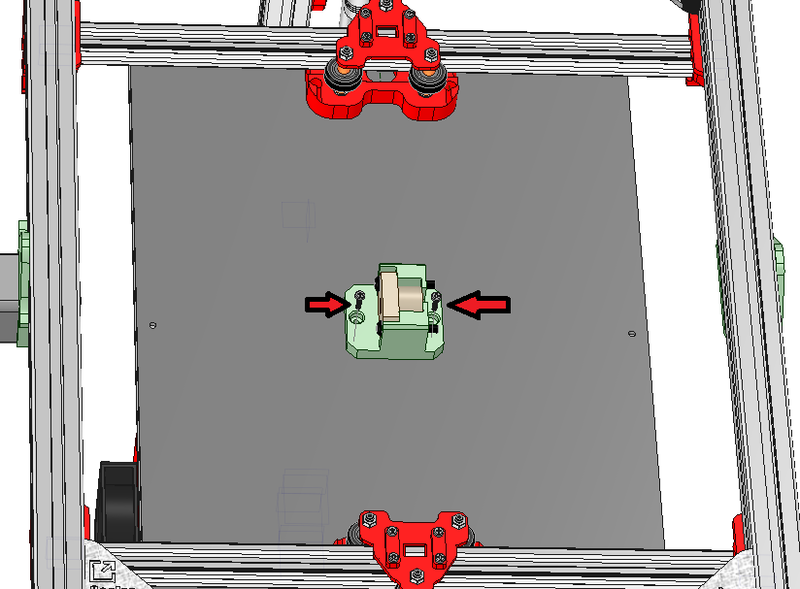 Move the plate as far as possible on toward the motor side. 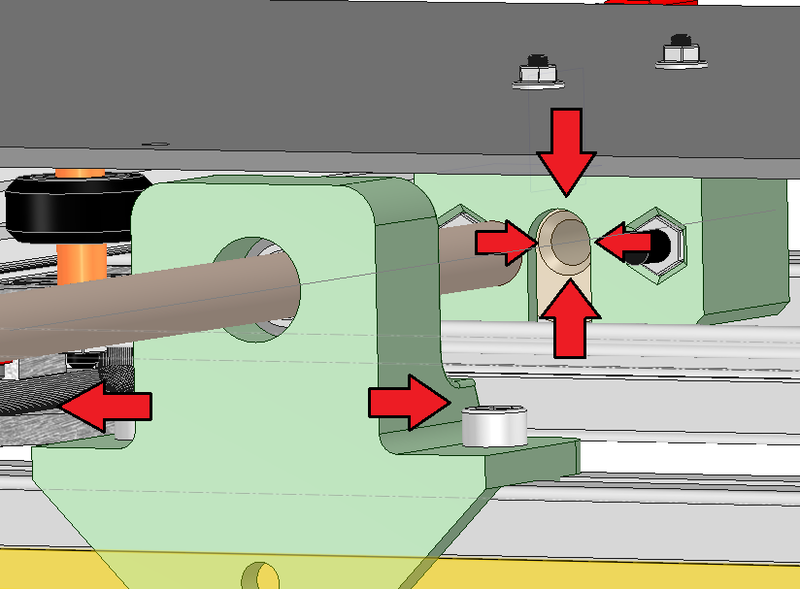 Push the helix through the bearing holder. it should go through easily. 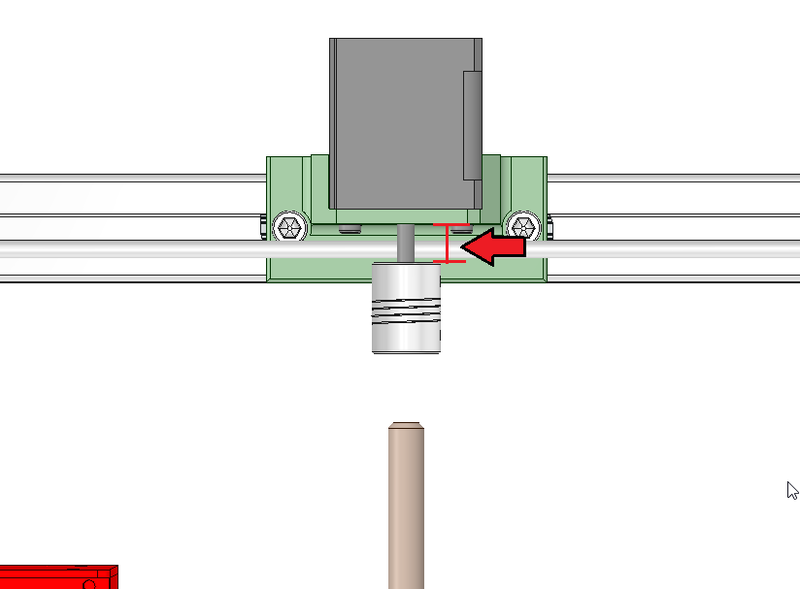 Now move the plate on the opposite direction, toward the bearing holder. 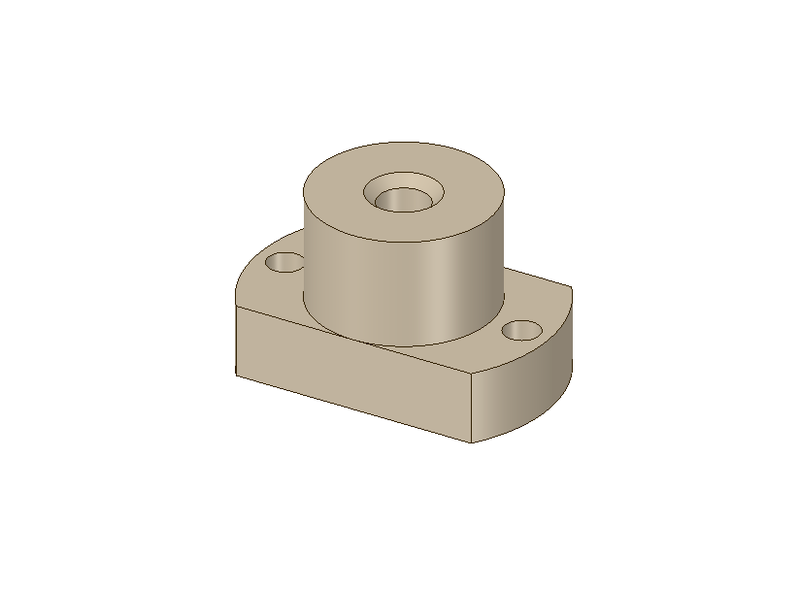 The goal here is to align bearing holder with the Flanged nut center hole so that the high helix is going straight into the flanged nut. 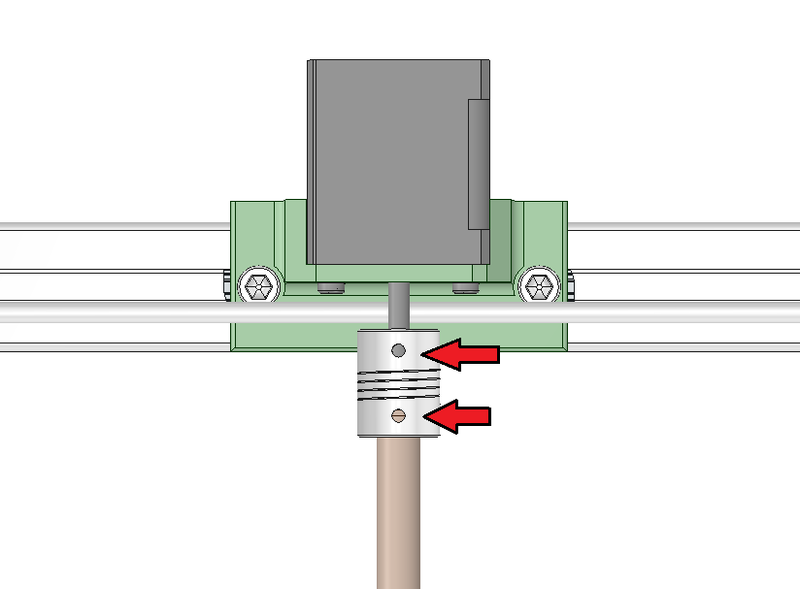 Move the bearing holder on the side if necessary. 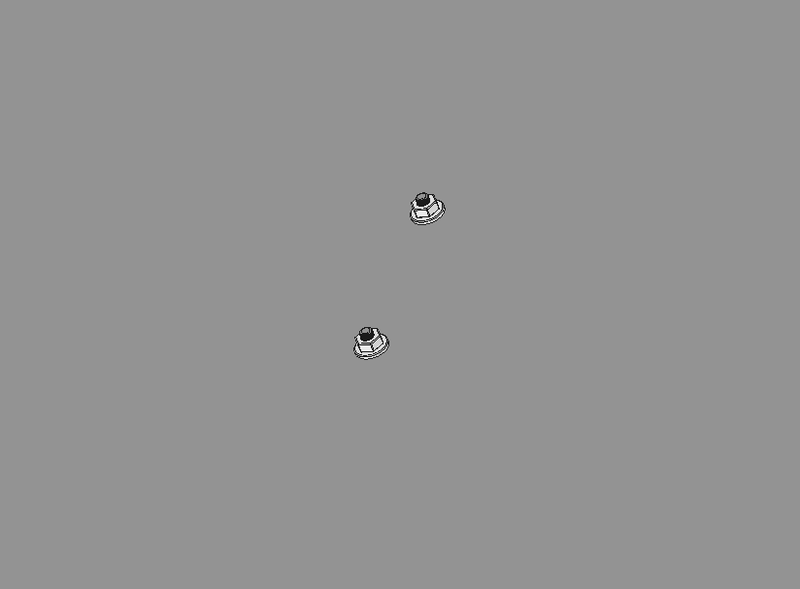 (Make sure to unscrew the M6x12mm holding screws before moving this part.). 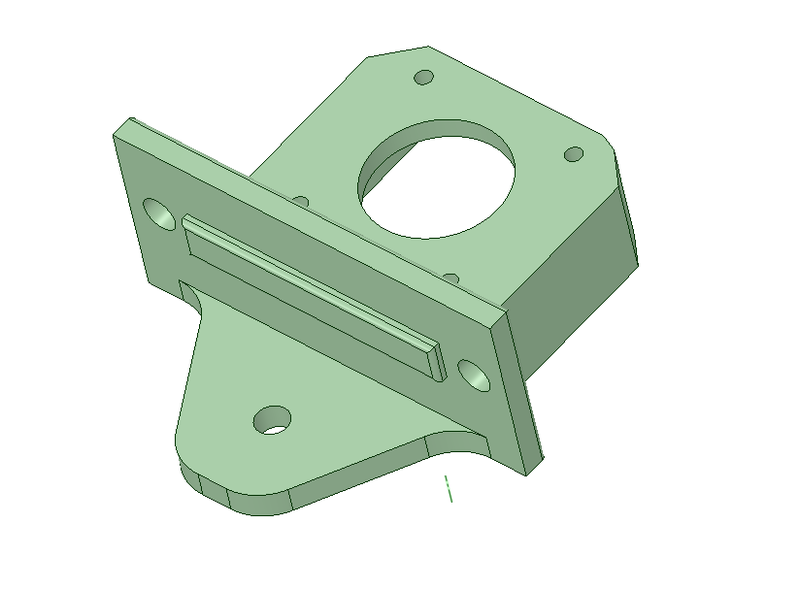 Push the helix toward the back of the chassis through the flanged nut. 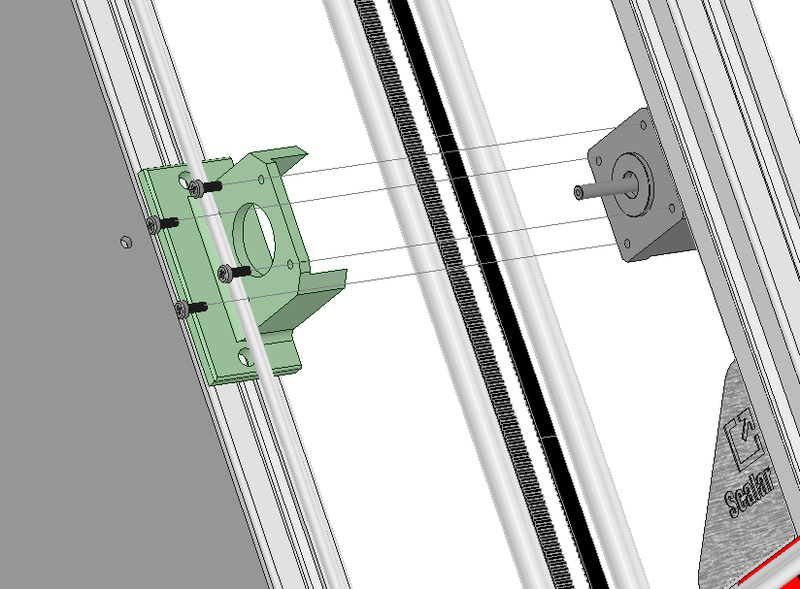 have some space left between the motor shaft and the helix screw. 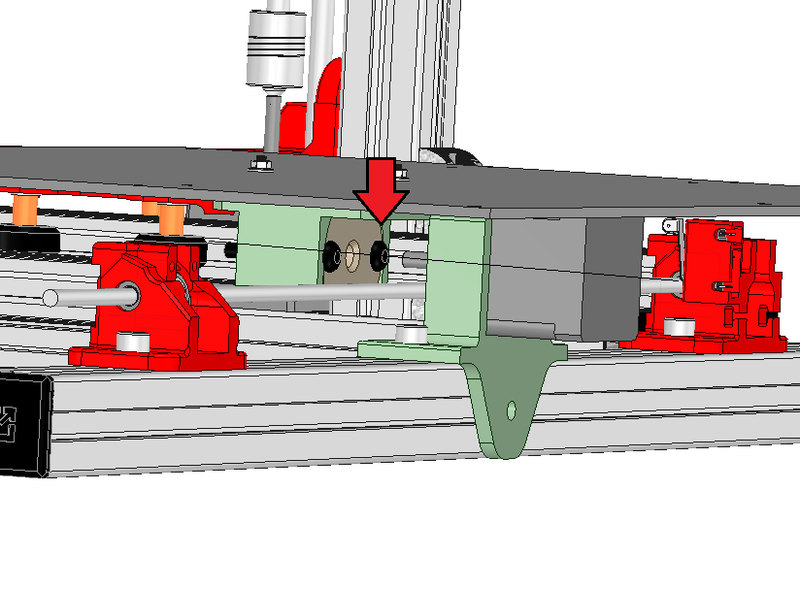 Align as much as possible the motor holder with the helix. You can slide the bed forward and backward in order to ease the process. 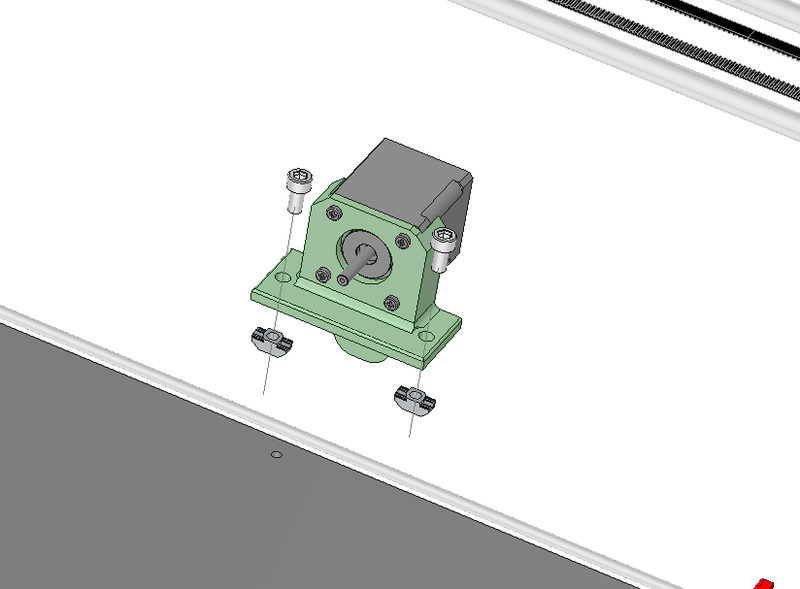 Once aligned as much as possible, insert the 5X10 coupler on the motor shaft. 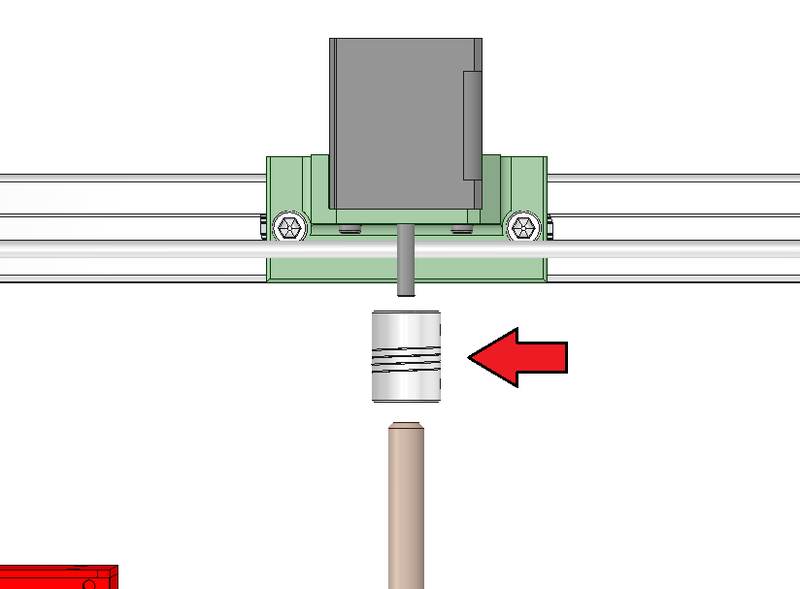 If you push the coupler too much it will rub against the steel rod. 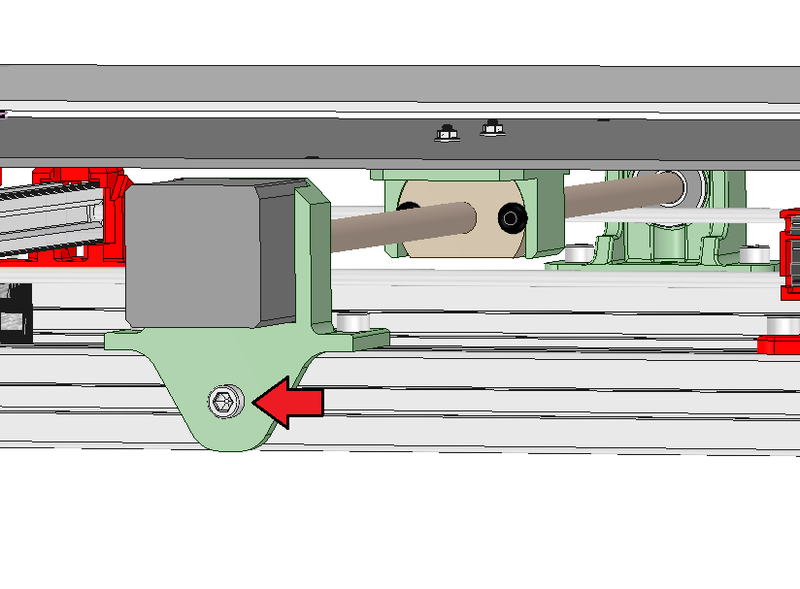 Push the high helix the maximum inside the coupler and tighten the coupler’s holding screws. 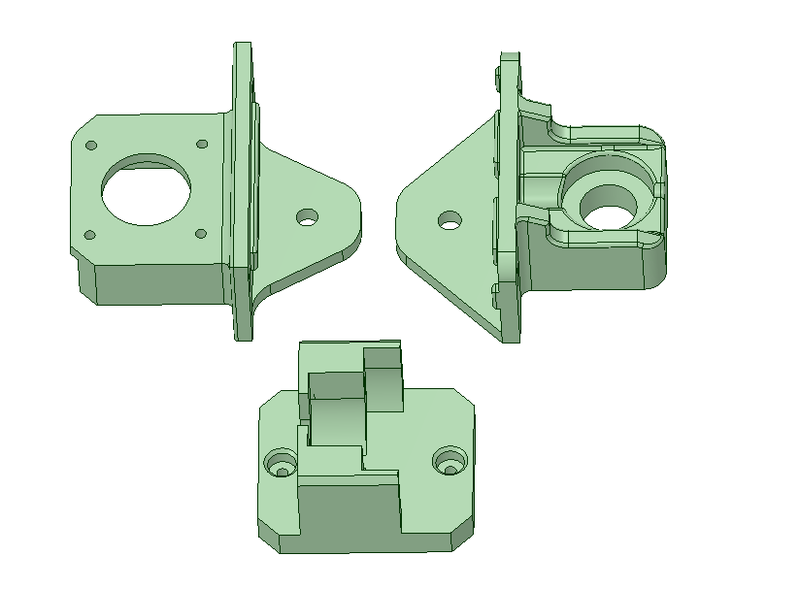 Also tighten the M6x12mm screws on both sides. 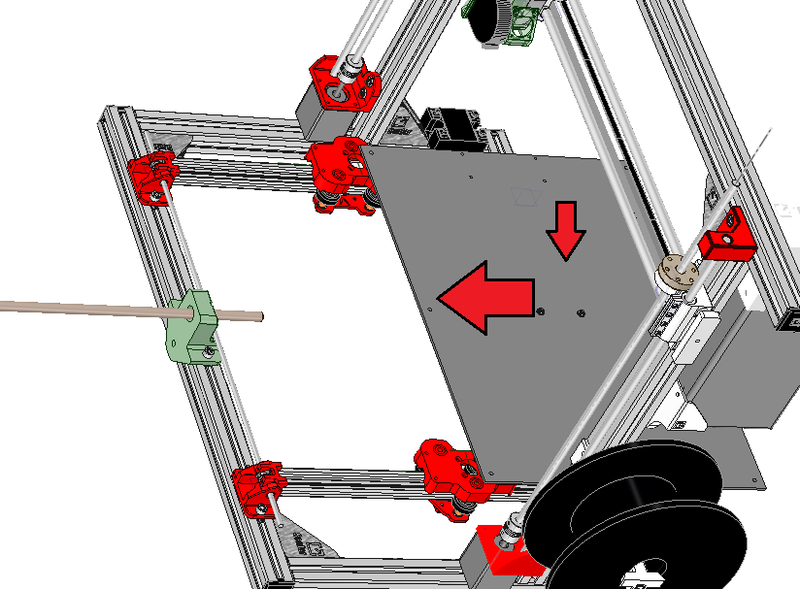 in order to checl that the alignment is correct you can pull/push the plate with your hand. it should be smooth all along it’s way. 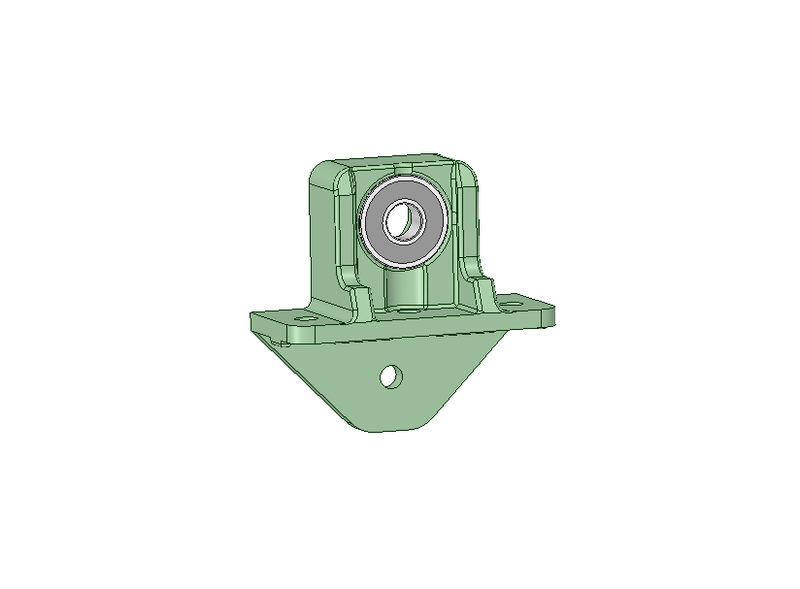 In order to secure both holders and reduce possible vibration, use 1 M6x12mm screw and 1 TNut. 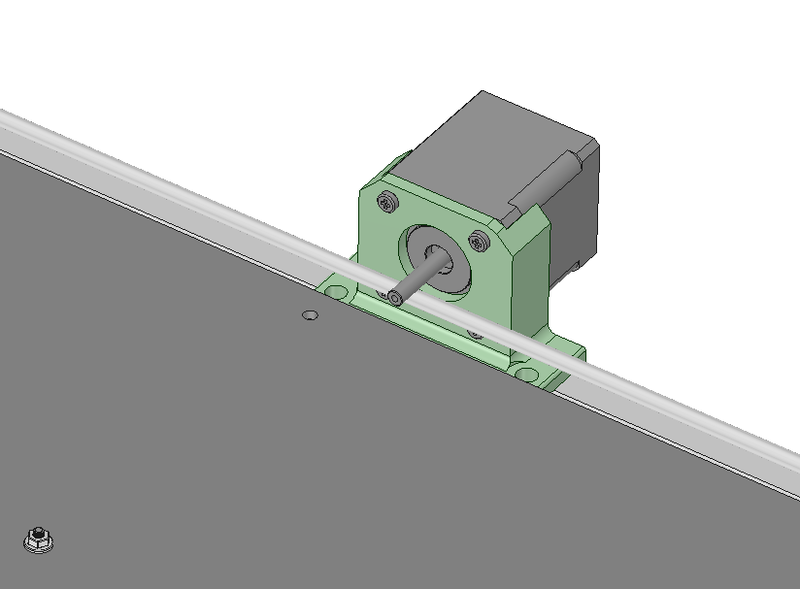 Insert the nut inside the extrusion profile groove and tighten the M6x12mm screw. Here is how it looks once done. 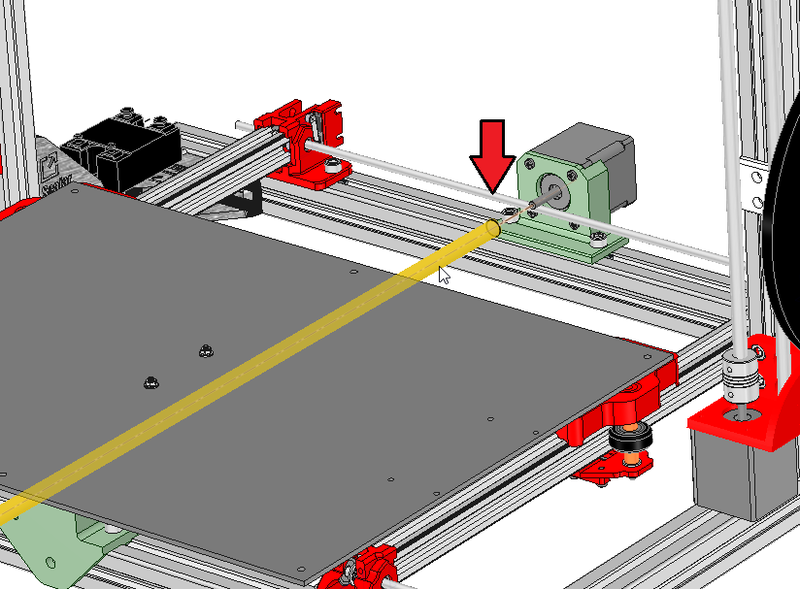 On electronic side you will need to invert your Y axis motor connector, Otherwise the motor might pull/push the bed on the wrong direction.